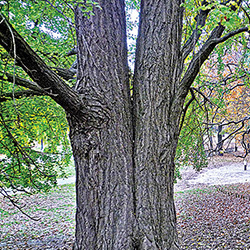 The ginkgo is a living fossil that has remained unchanged for more than 200 million years. 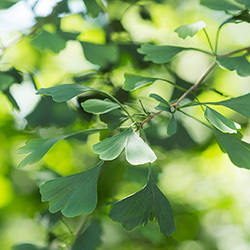 Many people recognize the ginkgo by the distinctive odor of the seeds of the female tree beginning in fall and persisting into the winter, depending on the weather. 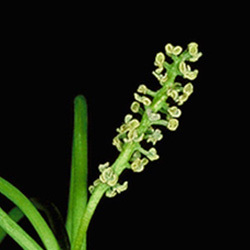 Ginkgos have existed since the time of the dinosaurs, but disappeared almost entirely but for a pocket of trees in the mountains of eastern China. 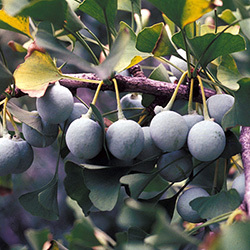 Ginkgos were reintroduced to Europe in the 18th century, and then to North America later. 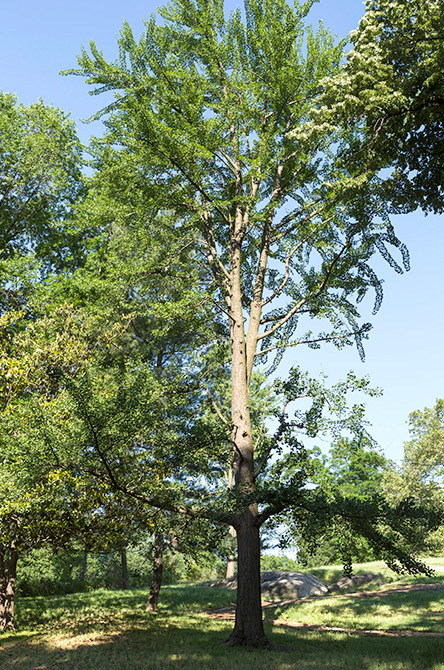 The ginkgo's unique fan-shaped leaves make them one of the easiest Central Park trees to identify.